A lifelong Chicagoland resident, MaryEllen Kuehl, founder of The Kuehl Group, transitioned into real estate with para-legal experience and an educational background in Architectural & Interior Design. Naturally-suited to the real estate industry, after just a few short years working for large national franchises (Coldwell Banker and Re/Max), she formed a team of customer-service driven associates and opened her own brokerage. MaryEllen has become a noted and experienced Managing Broker/Owner and President of The Kuehl Group. She holds extensive knowledge as a residential specialist focused in the areas of Asset Accumulation, Relocation, Referral, Green Building, Senior Real Estate, 1031 Exchange, TIC Investment, New Construction, First-time Buyer and Luxury Homes. MaryEllen holds an array of certifications and has earned a myriad of awards and accolades throughout her 18 year real estate career. Driven by the desire that their clients receive unmatched concierge attention, she modeled her business based on a fusion of traditional practices and new communication and technological age platforms for proven results. This client-centric focus remains the bedrock philosophy of The Kuehl Group today! 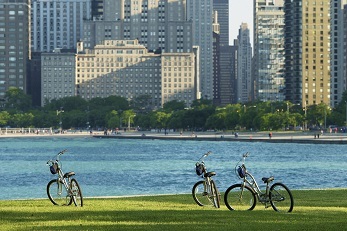 Living, working and investing in Chicago for many years, MaryEllen’s knowledge of the Near North Side, Streeterville and the nearby areas of downtown are impressive, you won’t believe her local insight! She and her husband Ted also have a home in Barrington where she serves buyers and sellers as well. When she isn’t with clients, MaryEllen and Ted enjoy nature, walking, bicycling, fishing, swimming, travelling and spending time with their grown children, their beloved grandchildren and their sweet little dog and Kuehl Group mascot, “Tickles”. 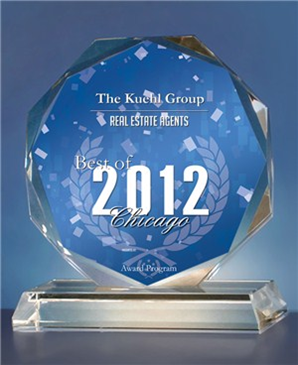 The Kuehl Group, Inc. serves home buyers and sellers throughout the Greater Chicagoland area including, but not limited to, the Chicago Loops (West, Central and South and Printer’s Row, Lakeshore East and Fulton River Dist) and the Near North areas including River North, Streeterville, Bucktown, Gold Coast, Lincoln Park, Lakeview, North Center, and Lincoln Square as well as Chicago's Northwest Suburbs including Barrington, Deer Park, Lake Zurich, and Long Grove. MaryEllen comes through for you, every time! Reach out anytime to have a conversation about your real estate needs. Served on the Women’s Council of REALTORS® for 12 years in various positions, including 2008 IL State WCR Secretary, 2008 Chicago WCR Member of the Year and 2000 Chicago WCR President. 2005-2007 Chicago Association of REALTORS® Professional Standards and Ethics Committee Grievance Board member. Manchester Who’s Who Among Executive and Professional Women Lifetime Honors Recipient. DIGITAL MILLENNIUM COPYRIGHT ACT (DMCA) NOTICE Midwest Real Estate Data (MRED) complies with the provisions of the Digital Millennium Copyright Act (DMCA). If you have a concern regarding the use of copyrighted material on any web site containing MRED listing content, please contact the agent designated to respond to reports alleging copyright infringement. Designated Agent: The designated agent for MRED to receive notification of claimed infringement under Title II of the DMCA is: Sarah Burke Rules and Regulations Manager sarah.burke@mredllc.com Midwest Real Estate Data LLC (MRED) 2443 Warrenville Road, Suite 600 Lisle, Illinois 60532 630-955-2744 The DMCA specifies that all infringement claims must be in writing (either electronic mail or paper letter) and must include the following: 1. A physical or electronic signature of the copyright holder or a person authorized to act on his or her behalf; 2. A description of the copyrighted work claimed to have been infringed and multiple copyrighted works at a single online site are covered by a single notification, a representative list of such works at that site; 3. A description of the material that is claimed to be infringing or to be the subject of infringing activity, and information reasonably sufficient to permit the service provider to locate the material; 4. Information reasonably sufficient to permit the service provider to contact you, such as an address, telephone number, and, if available, an electronic mail address; 5. A statement that you have a good faith belief that use of the material in the manner complained of is not authorized by the copyright owner, its agent, or the law; and 6. A statement that the information in the notification is accurate, and under penalty of perjury, that you are authorized to act on behalf of the owner of an exclusive right that is allegedly infringed.